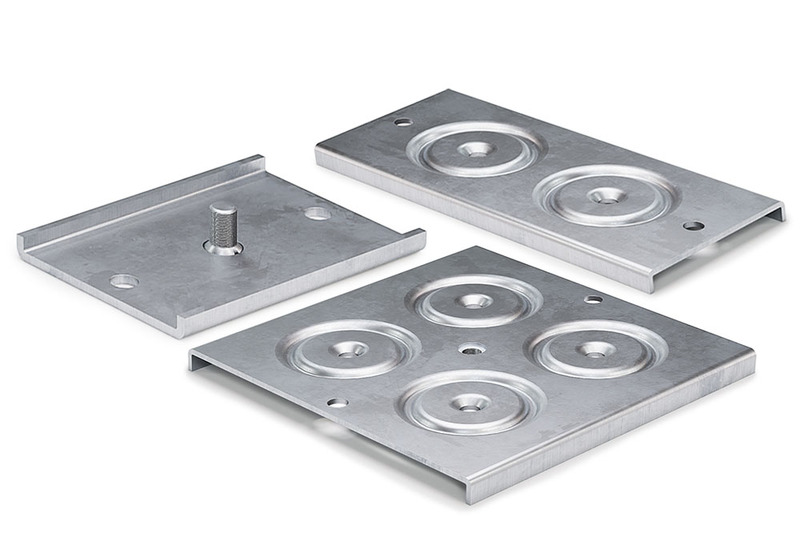 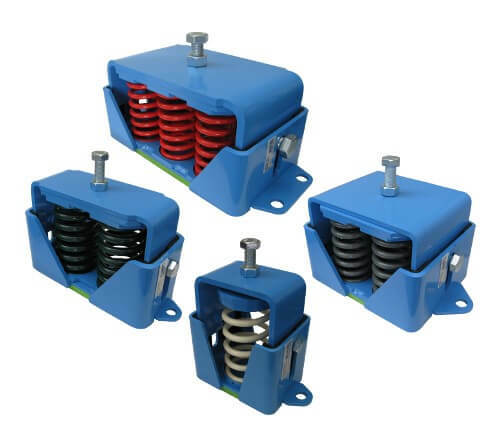 The AMC-MECANOCAUCHO® VT type 3 low natural frequency acoustic hangers are designed to withstand the load of 5 to 150Kg per acoustic . 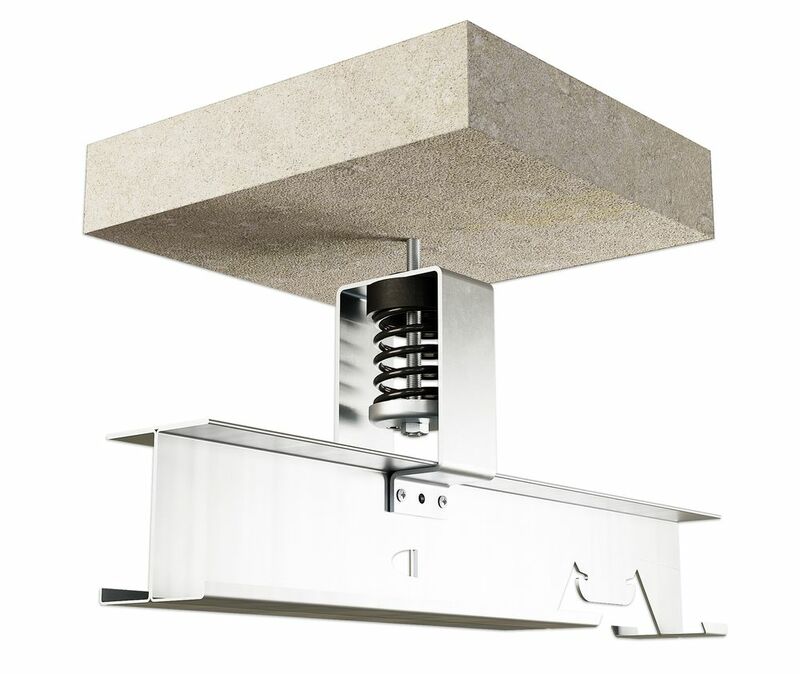 Their design has been optimized to be used on reinforced profiles that have an “I” shape. 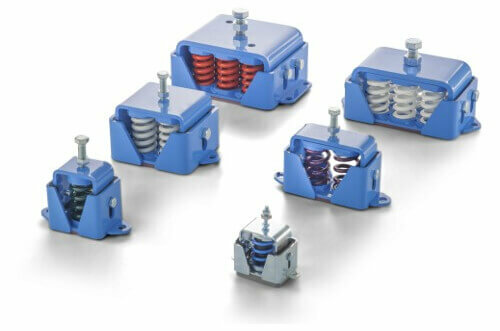 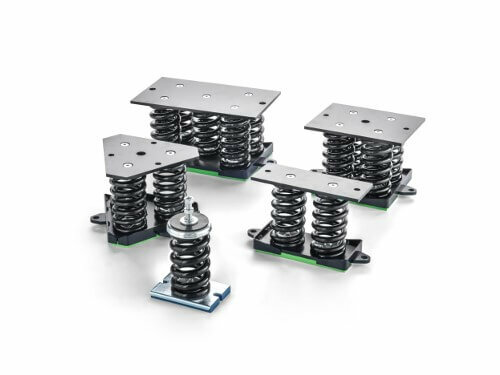 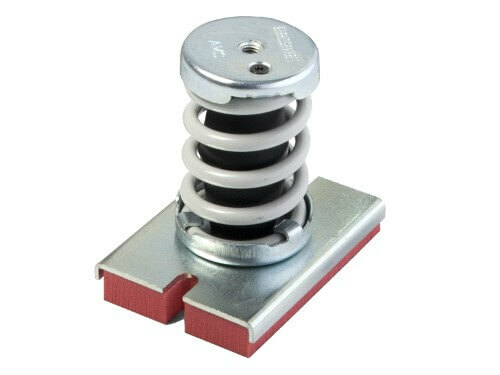 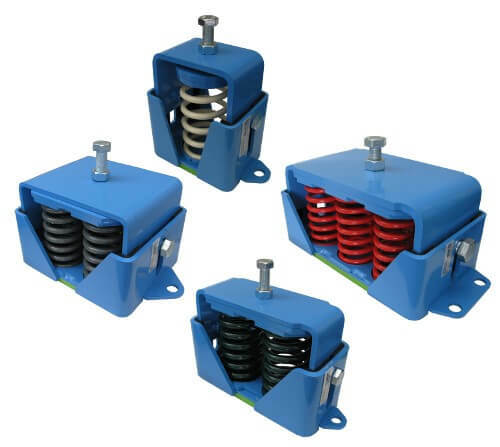 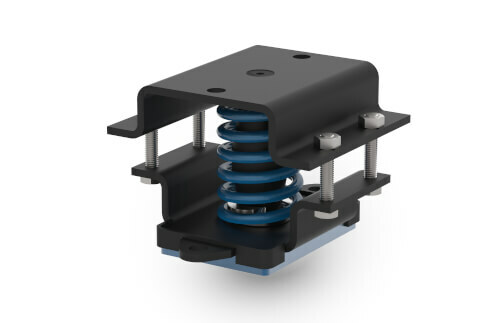 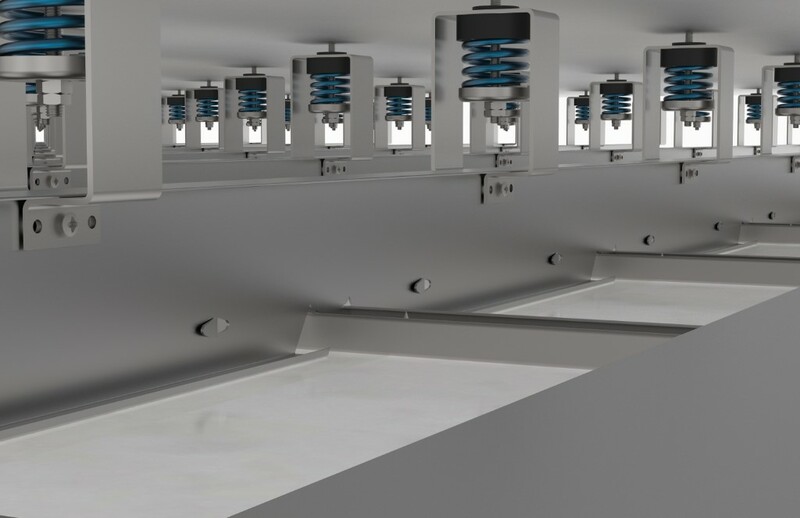 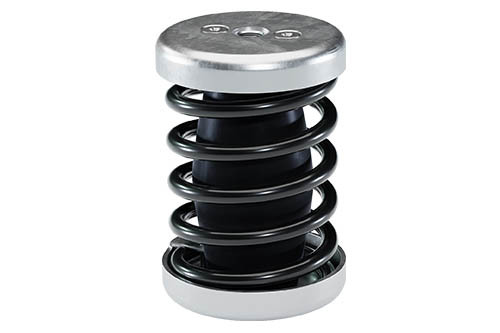 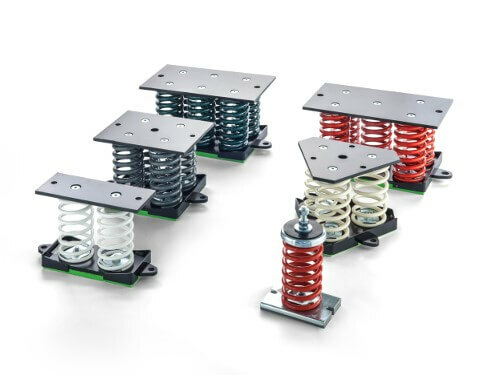 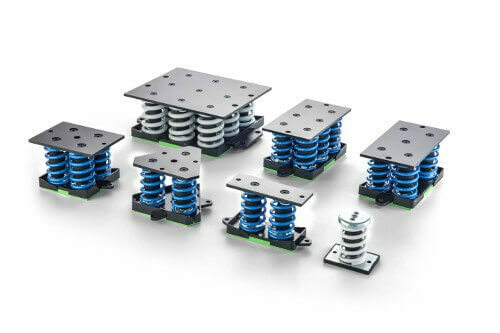 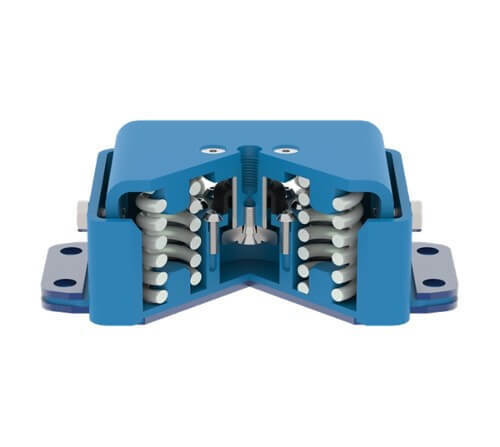 The VT type 3 Low natural frequency acoustic hangers are produced as standard on 6 different stiffness coil springs to suit loads per point from 5 up to 150 Kg. 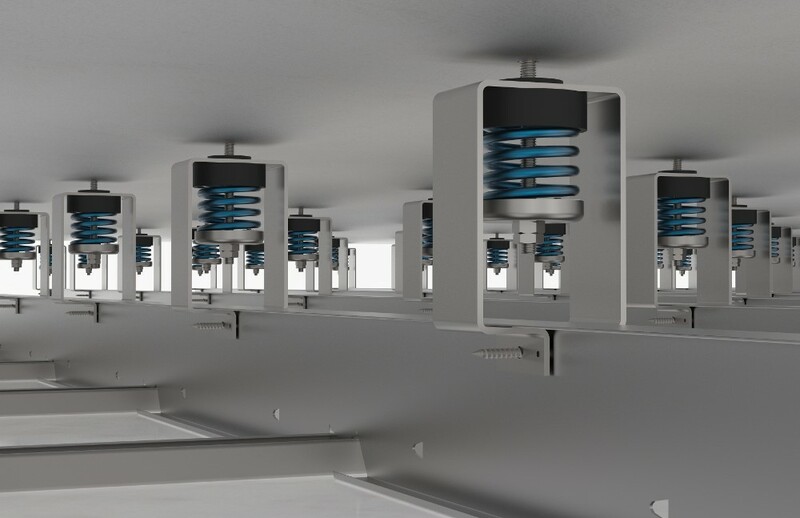 The natural frequency on their optimal loading point ranges below 5 Hz. 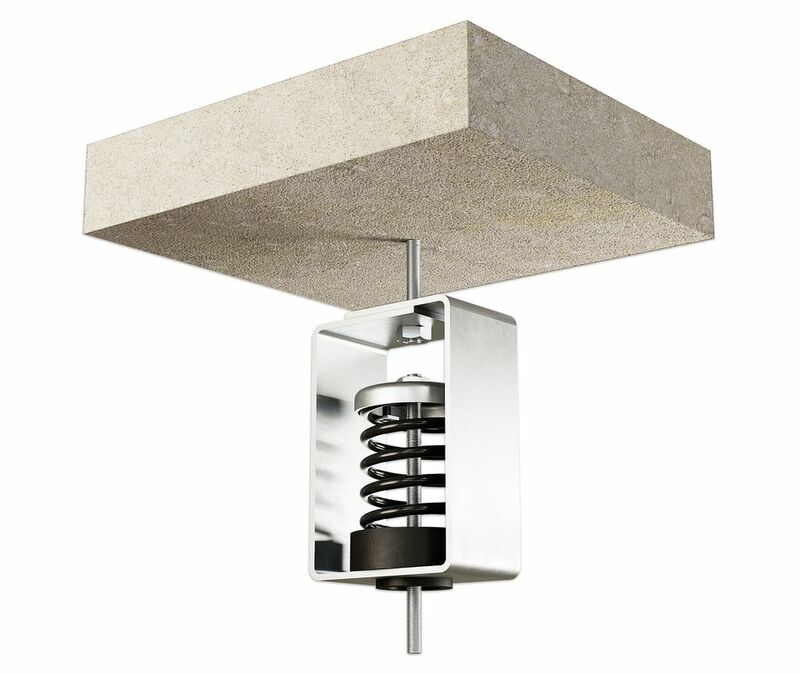 These technical properties provide a high level of noise and vibration isolation on light concrete structures. 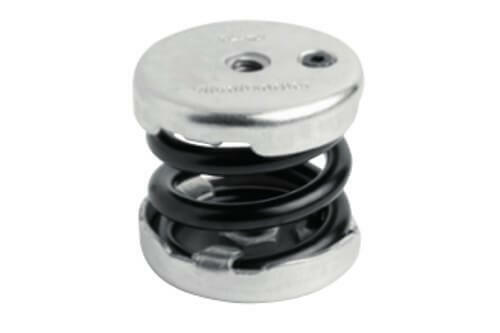 Their metal parts are coated to withstand corrosive environments. 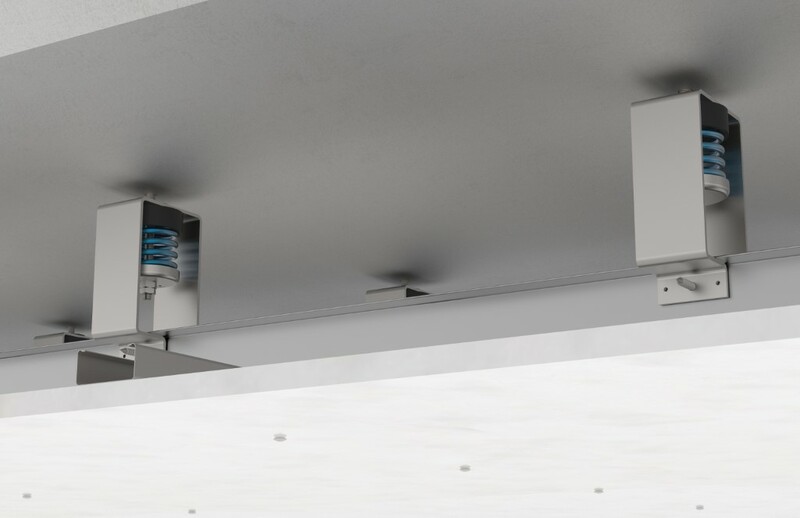 They are typically installed every 1,5 linear meter. 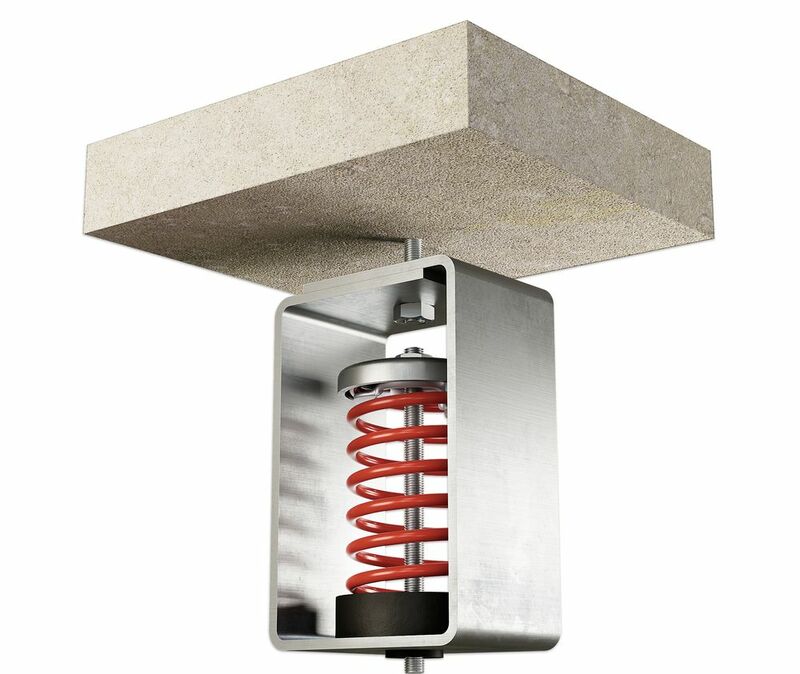 But this feature may be tuned in order to adapt to the load or natural frequency requirement of the application.